Afmetingen van deze voorvertoning van het type PNG van dit SVG-bestand: 797 × 531 pixels Andere resoluties: 320 × 213 pixels | 640 × 426 pixels | 800 × 533 pixels | 1.024 × 682 pixels | 1.280 × 853 pixels. 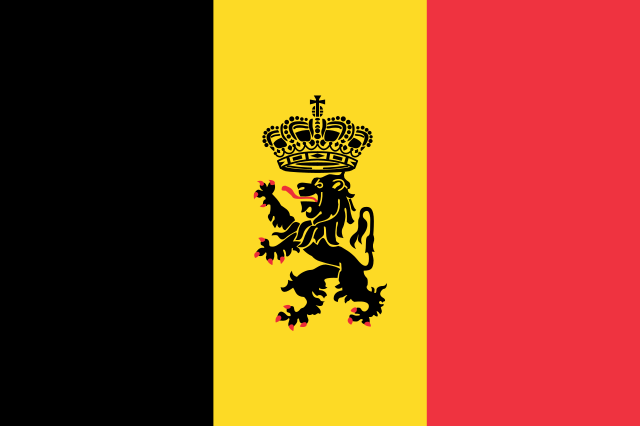 English: Government ensign of Belgium. Bron Generated in Inkscape, traced from an image at the World Flag Database. Colours derived from Image:Flag of Belgium (civil).svg. huidige versie 3 mei 2011 13:20 797 × 531 (39 kB) Evanc0912 Matching the colours with the official description issued by the Ministry of Interior of Belgium.